specificapplications of human genomic information for medicine and public health are all discussed. 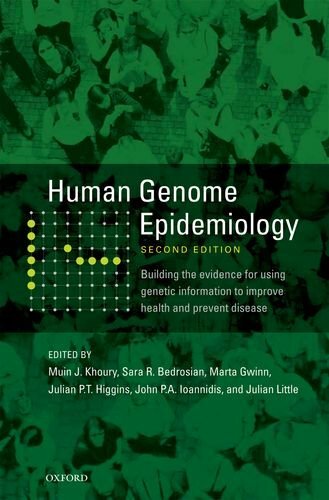 In addition, the book focuses on practical applications of human genome variation in clinical practice and disease prevention. Students, clinicians, public health professionals and policy makers will find thebook a useful tool for understanding the rapidly evolving methods of the discovery and use of genetic information in medicine and public health in the 21st century.